This branding and marketing engagement is geared toward diagnosing and addressing your marketing challenges. With an in-depth branding and marketing assessment, we determine market opportunities and objectives. Developing key messages, we refine your brand positioning and establish an effective marketing plan. Many times there is internal misalignment, with marketing, sales and fulfillment having competing needs and goals. Looking at your operation wholistically allows us to make recommendations that not only improve your marketing, but improve internal communication and communication with your customers. Applications we build often help bring marketing and product or service delivery in sync, benefiting the customer and your bottom line. We present our findings along with a recommended 90-Day Marketing Plan, recommending branding and marketing initiatives. We provide production schedules, budgets and mood boards to explore how to move forward visually. 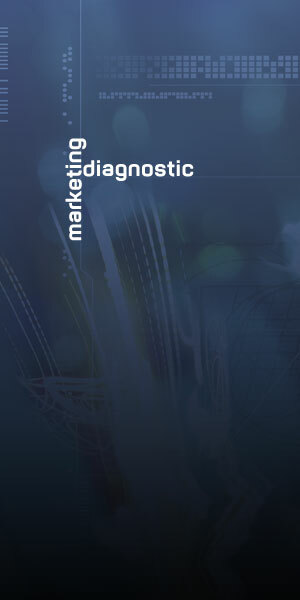 The Marketing Diagnostic is the first step towards establishing a strong marketing campaign and collaborative relationship with your in-house marketing and operations team.